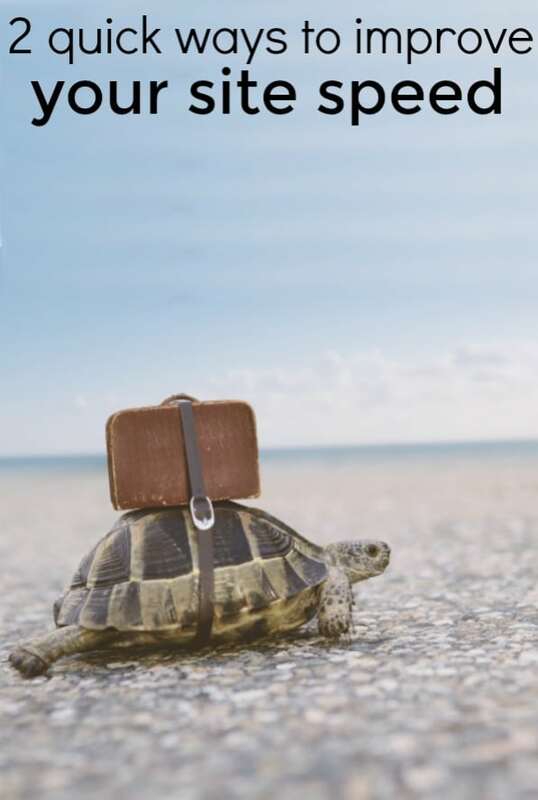 Site speed is an important, but so often overlooked part of blogging. Making sure a website runs quickly has always seemed like something I wouldn’t be able to understand. I’ve been ripped off by people promising site speed improvements before, so I’ve been wary to hire some one to help me with it and felt stuck. This weekend I attended a blogging conference in Austin, Tx. This conference was put on by Adthrive and was truly incredible. I learned a lot about SEO, Pinterest, Public Speaking and more! One fun class was put on by a couple Adthrive engineers. They walked us through site optimization tips and after fixing just TWO of the things they highlighted, I was able to cut my site full-load time in half. The first tip we got was to check the sizing of images in the sidebar. I knew I should be resizing images in posts, but I set up my sidebar so long ago, I hadn’t thought to double check the images there. My “about” image was much wider than my sidebar, meaning I was wasting precious load time when the image had to load and resize at once. A quick resizing the image down to 300×350 fixed this problem before the site optimization class was even over. The next issue was one I thought was out of my control. 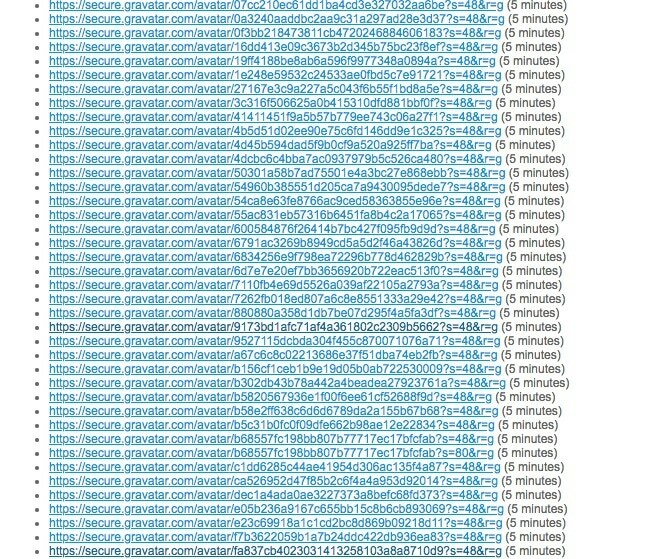 I was getting poor loading times for image optimization and they were all showing up as gravatar images. This would happen when I would do a speed test on individual pages on my site, and not just my hope page. These gravatar images are not optimized and have all sorts of issues with them, BUT they are images and icons that auto populate when some one comments on the blog. Just look at how scary these error codes looked in GT Metrix. Ugh!!! Since Gravatar is not something I had intentionally opted into with my site I thought this one was out of control. Thankfully, this is NOT out of our control though. Even if you are just using the wordpress comment feature like I am. On new posts with no comments yet, this wasn’t a problem, but my oldest, and most popular posts were getting a slower load time because all these gravatar images were having issues. I knew I didn’t want to remove comments from my site as those are a huge way I build community on my blog but I had to do something about the gravatar issue. Thankfully, there’s a SUPER EASY fix. 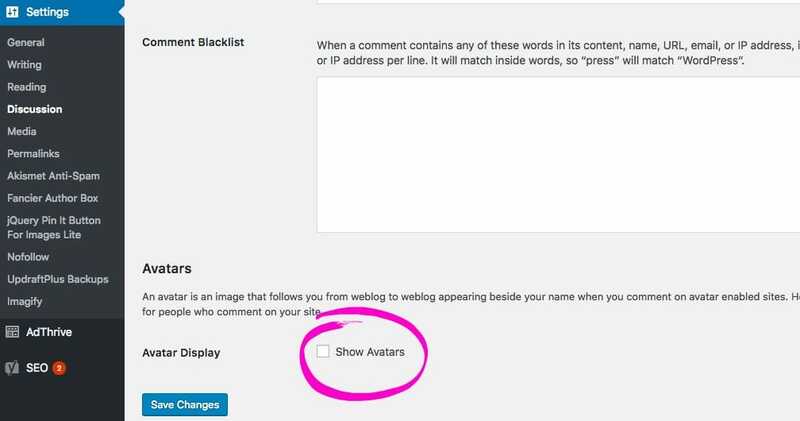 Go to your wordpress dashboard and click the “settings” button on the left. From there, click “discussion”. Scroll down and you should find a part called Avatar Display. Uncheck the box that says “avatar display” and save changes. Yes, it’s really THAT easy to improve your site speed by avoiding the gravatar images. On one of my post popular posts this literally cut my page load time in half. This is one of my favorite new quick tips since it means drastically improving the experience that a reader would have on my site, and can have a site-wide positive affect on my SEO as well, since it improves my site speed. For more actionable blogging tips like this that can help you grow & improve your blog in under 5 minutes be sure to join my free Quick Blogging Tips facebook group. I have lots of fun new tips to share with you over the coming weeks… I’ll be sending out an email later this week with information I got straight from the community manager at Pinterest. She addressed many of our concerns as a blogger community in a live Q&A and I got to talk to her in a small group after her session and get a few more specific questions answered! Subscribe below so you don’t miss anything! Thanks so much for the tips! I found this article through Jennifer Priest and her Smart Creative Social FB Group. I just unchecked the avatar box. Here’s to hoping. Not sure how to figure out the size of my sidebar image, but I’m looking into it! Thanks again and hope you had fun in my home town. It’s kind of ironic that AdThrive is teaching optimization tips for website load time. Is their best tip to remove AdThrive (and with it all the redirect chains that it creates)? If you watch the video above, I explain that a little bit more. While technically ads do increase your load time Adthrive has theirs set in specific ways to be non invasive and to load after your content. Google knows this so it isn’t affecting your SEO and also isn’t negatively affecting your user experience since a reader can already be taking in your content before an ad comes along (and you won’t be bouncing back to an ad you missed or anything. .
Hey Buddy!, I found this information for you: "2 quick ways to improve your site speed". Here is the website link: https://www.beautythroughimperfection.com/2-quick-ways-to-improve-your-site-speed/. Thank you.